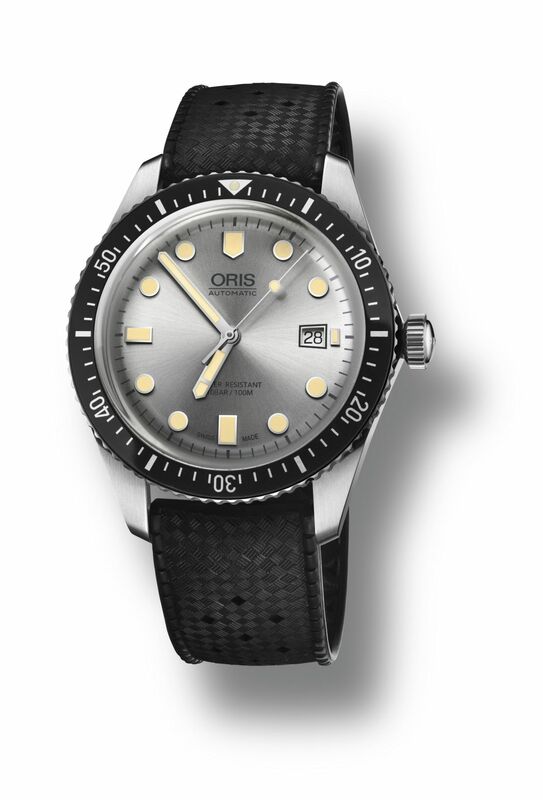 A new model was added to the Sixty-Five collection of Oris's successful product groups. 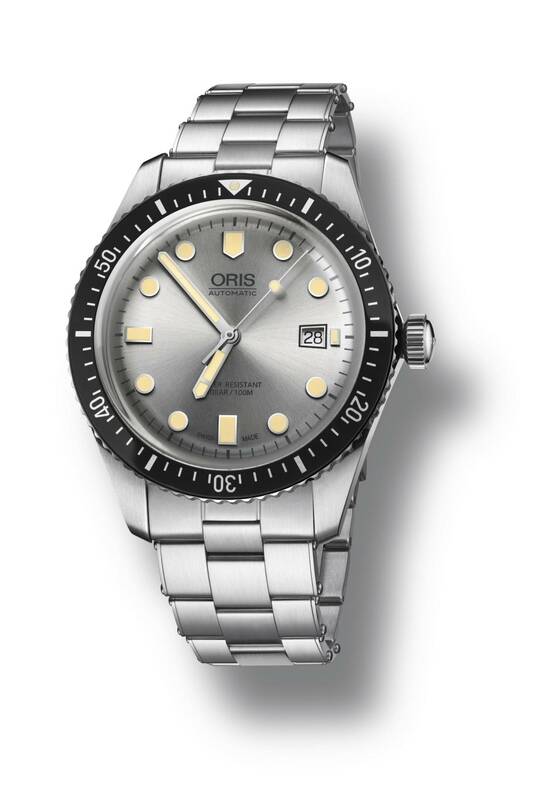 The new model stands out with its silver dial. The new model is featured in a stainless steel case measuring 42mm in diameter. The bezel, which surrounds the AR coated domed sapphire crystal, is made of aluminum with black accents. 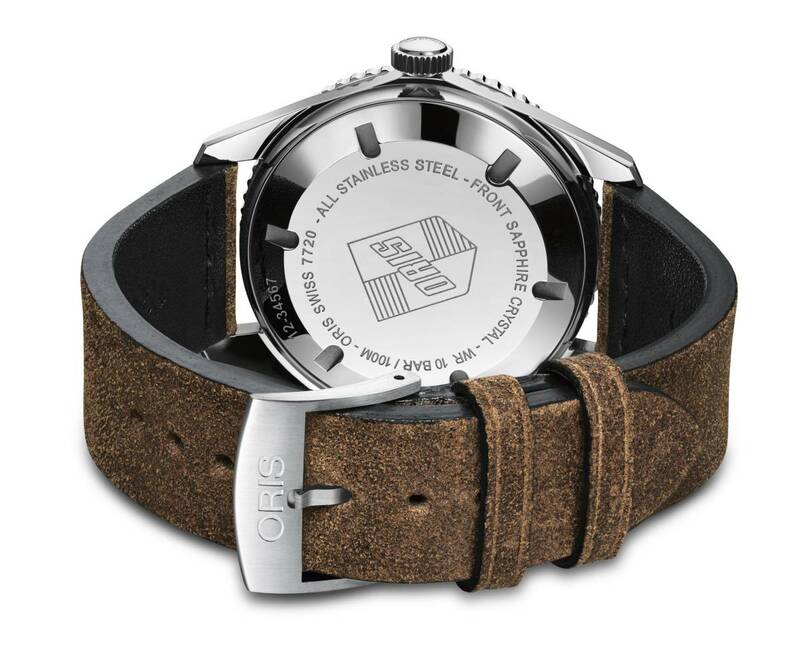 The solid caseback sports the classic Oris logo of 1965. WR rating is 100 meters. The silver dial itself is also slightly domed like the crystal. The dial features Super Luminova applied hands and indices. The timepiece is powered with the Oris Caliber 733 (based on Sellita SW 200-1). 26 jeweled self-winding movement beats at 28800vph and offers 38h power reserve when fully wound. Offered with three different strap/bracelet options including stainless steel bracelet, rubber and leather, the MSRP for the Sixty-Five is 1,900 - 2,100 CHF.